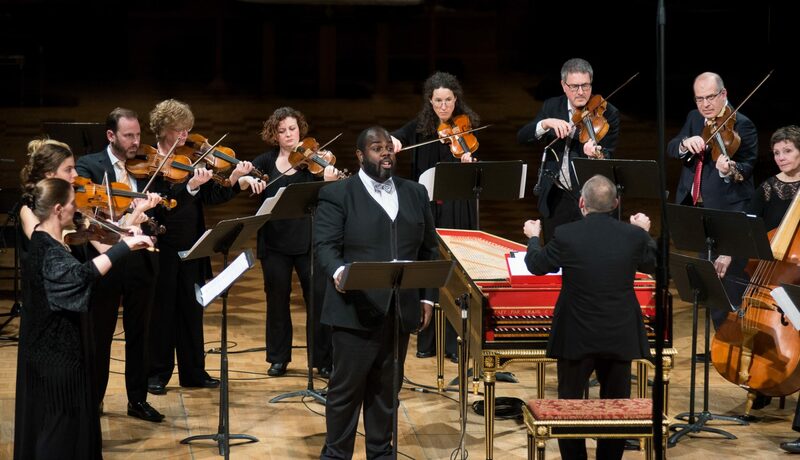 Countertenor Reginald L. Mobley is highly sought after for baroque, classical and modern repertoire. The beauty of his singing and the warmth of his personality have made him an audience favourite in Vancouver over the last few seasons. For this performance he will sing a rarely performed, dramatic cantata by Antonio Vivald – Cessate Omai Cessate, as well as one of J.S. Bach’s most beloved solo cantatas – BWV 82 / Ich Habe Genug. For this highly anticipated return Reggie will be joined by the musicians of Pacific MusicWorks and conductor/lutenist Stephen Stubbs. To download/view the programme page, notes, texts and translations, click here. Recitative: Mein Gott! wenn kömmt das schöne: Nun! By the end of the 16th century, Italy had established itself as the centre of the European musical universe, a position maintained by the regular export of Italian musicians and the stream of foreign musicians traveling to Italy to study and work. By the time Antonio Vivaldi was born in 1678, Italian stylistic elements were well known and incorporated into the music of most European countries, except for France, which stubbornly refused to have its music polluted by foreign influence. Three years after Vivaldi’s birth, Arcangelo Corelli published his first book of trio sonatas and revolutionized the European musical world. Corelli’s innovations were severalfold: not only did he codify an existing trend toward organizing sonatas into independent movements, but his unique compositional voice, including memorable melodies and his novel use of expressive dissonance and suspension – were studied and often brazenly imitated by composers across the continent. This was made possible by greater access to commercially published music. His 1681 collection was reprinted 39 times between 1681 and 1790, and copies travelled as far as the United States, Bolivia, Russia, and China. Among Corelli’s many imitators was the young Antonio Vivaldi. His first publication, a collection of twelve trio sonatas, was released in 1705, when the composer was 27. Distinctly Corellian in style, the collection concludes with a trio sonata on the popular ground bass La Follia, the same theme upon which Corelli based the last of his Op. 5 collection of solo violin sonatas, published five years previously. Vivaldi wrote over 50 operas to great financial success, although due to politics and the public’s fickle tastes, he never attained the level of popularity and prominence of other Venetian opera composers. His cantatas, of which about three dozen survive in manuscript, demand similar virtuosity and dramatic range as his operas. Cessate, omai cessate is a first-rate dramatic showpiece, likely composed for one of his more talented students at the Ospedale della Pièta. An accompanied recitative introduces a powerfully emotional opening aria, in which the scorned lover laments his pain and suffering. After another accompanied recitative, his anger gets the best of him in a furious aria swearing revenge against his hard-hearted love. Born in Bergamo and trained in Rome, Pietro Locatelli travelled extensively and worked in many important musical centres in both Italy and Germany, gaining a reputation as a flamboyant but arrogant virtuoso with extravagant tastes. In 1729, when he was 34, he settled in Amsterdam and began to publish his works, but would only teach amateurs and performed only rarely, out of fear that other professional violinists might copy his tricks. Despite his paranoia, his music was quite influential on future generations of violinists including Nicolò Paganini, who modelled his Caprices for solo violin on Locatelli’s Op. 3. The six Introduttioni teatrali, published in1735, follow the Neapolitan opera overture form, with a brilliant and virtuosic opening movement followed by a brief and expressive Andante, closing with a dance movement in triple metre. The trio sonata was one of the most popular genres of instrumental music in the baroque era. Johann Sebastian Bach was no stranger to trio textures, judging by his six trio sonatas and many chorale trios for solo organ as well as his sonatas for solo instrument with obbligato harpsichord, but why so few chamber trios remain extant has puzzled musicologists and music lovers for generations. In any case, the popularity of BWV 1039 can be attested by the fact that it survives in four different versions –the one on today’s programme for two violins and basso continuo, another for two flutes and continuo, as a sonata for solo viola da gamba and obbligato harpsichord, and as a transcription for solo organ. The music was most likely composed in Leipzig for the Collegium Musicum, the student orchestra that Bach directed from 1729-1739, and performed at Zimmermann’s Coffeehouse. Like Bach’s Italian models, the piece is full of tuneful melodies and imitative counterpoint in the upper voices. Where Bach transcends his influence is the role of the bass, more assertively moving away from its inherited role as the harmonic and rhythmic driving force underneath the upper voices staking a claim as an equal participant in the melodic and contrapuntal texture. The third movement is an extraordinary compositional tour de force. Only 18 measures long, it calls to mind the brief slow movements of Vivaldi and the Venetian school, with simple rising arpeggios over a pulsing bass line. Bach takes the music one step beyond through his masterful use of harmony, time and suspense worthy of an Alfred Hitchcock thriller. Bach wrote the cantata Ich habe genug for the feast of the Purification of Mary in 1727, when he had already been working in Leipzig for four years. The readings for that Sunday also include the Presentation of Jesus in the Temple and the Song of Simeon, and the Bach’s original vocal scoring – for bass – was most likely trying to illustrate the aged Simeon, a popular convention in other German vocal music of the time. The anonymous librettist draws on the scriptural references and expands the text to speak to the soul’s longing for a content death, looking to escape the hardships of this life, resting secure in the love of Jesus and in the assurance of a blessed afterlife. Countertenor Reginald Mobley fully intended to speak his art through watercolours and oil pastels until circumstance demanded that his own voice should speak for itself. Since reducing his visual colour palette to the black and white of a score, he has endeavored to open a wider spectrum onstage. His natural habitat as a soloist is within the works of Bach, Charpentier, Handel, and Purcell. Not to be undone by a strict diet of cantatas, odes, and oratorios, however, Reggie finds himself equally comfortable in rep of later periods and genres. A long-time member of the twice GRAMMY® nominated Miami-based professional vocal ensemble, Seraphic Fire, Reggie has also had the privilege to lend his talents to other ensembles in the US and abroad including John Eliot Gardiner’s Monteverdi Choir, the Handel and Haydn Society, the Boston Early Music Festival, the Oregon Bach Festival, Tafelmusik Baroque Orchestra, Pacific MusicWorks, Pacific Baroque Orchestra, Apollo’s Fire, Vox Early Music, Portland Baroque Orchestra, North Carolina Baroque Ensemble, Ensemble VIII, San Antonio Symphony and Symphony Nova Scotia. Not confined to conventional countertenor repertoire, the “barn-burning, […]phenomenal” male alto has a fair amount of non-classical work under his belt. Not long after becoming a countertenor, he was engaged in several musical theatre productions. Most notable among them was the titular role in Rupert Holmes’ Mystery of Edwin Drood, and Jacey Squires in Meredith Willson’s The Music Man. In addition to his work in musical theatre, he performed many cabaret shows and sets of jazz standards and torch songs in jazz clubs in and around Tokyo, Japan. Reggie studied voice at the University of Florida with Jean Ronald LaFond, and at Florida State University with Roy Delp. Pacific MusicWorks (PMW) works to bring internationally renowned artists into collaboration with leading musicians from the Northwest, and to foster creative dialogue among artists from a broad array of fields and cultures. The heart of its repertoire is 17th- and 18th-century vocal music, but performances range from the Renaissance to innovative contemporary works and from chamber music to fully staged operas. Important projects have included a staged performance of Il Ritorno d’Ulisse in a production by South African artist William Kentridge, The Passions Project in collaboration with the Seattle Symphony and Ludovic Morlot as well as full stagings of operas in collaboration with the University of Washington (Gluck’s Orphée, Purcell’s Dido and Aeneas and Handel’s Semele). Joanna Blendulf is associate professor of music in baroque cello/viola da gamba at the Indiana University Jacobs School of Music. Blendulf has performed and recorded with leading period-instrument ensembles throughout the United States and abroad. She is currently co-principal cellist and principal viola da gamba player of the Portland Baroque Orchestra. 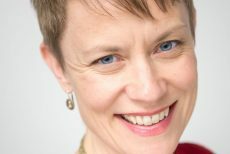 She has also performed as principal cellist of Pacific MusicWorks, Pacific Baroque Orchestra, American Bach Soloists, Indianapolis Baroque Orchestra, Apollo’s Fire Baroque Orchestra, and the New York Collegium. She was a principal cellist of the New World Symphony under Michael Tilson Thomas and has performed with other modern orchestras, including the Atlanta Symphony Orchestra and the Nashville Chamber Orchestra. Blendulf is an avid chamber musician, performing regularly on major concert series and appearing on numerous recordings with her groups, including the Ensemble Electra, Ensemble Mirable, Music of the Spheres, Nota Bene Viol Consort, and Wildcat Viols. She appears as a frequent guest viol player with the Catacoustic Consort and Parthenia, and has collaborated with acclaimed artists such as Monica Huggett, Stephen Stubbs, Matthias Maute, Bruce Dickey, and Joan Jeanrenaud. Blendulf’s world-premiere recording of the complete cello sonatas of Jean Zewalt Triemer with Ensemble Mirable was released in 2004. 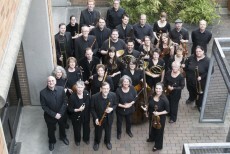 Blendulf’s festival engagements have included performances at Tage Alter Musik Regenburg, Musica Antigua en Villa de Leyva in Colombia, the Bloomington, Boston, and Berkeley early music festivals, and the Ojai Music Festival, as well as the Carmel and Oregon Bach Festivals. She is also sought after as a teacher and chamber music coach and has served as a classroom and private instructor at the University of Oregon and the Berwick Academy. As an active member of the Viola da gamba Society of America, she teaches regularly at viol workshops such as the annual Conclave, Viols West, and Young Players Weekend, and has served as a national Circuit Rider teacher. She holds performance degrees with honors from the Cleveland Institute of Music and the Jacobs School of Music, where she earned a Performer’s Certificate for her accomplishments in early music performance. Romaric Pokorny, baroque violin and viola, is an avid chamber music player. 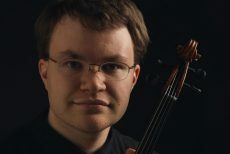 Based out of Seattle, he has been a member in several chamber music ensembles in the Puget Sound area, most notably the Oceana String Quartet, SCREE! String Quintet, and especially the Rocoempo Trio, alongside his brothers. He also enjoys performing with Seattle’s Pacific MusicWorks, Seattle Baroque Orchestra, the Seattle Symphony Orchestra, SeattleMusic, and various other ensembles. A native of France, he received his early musical training there, studying violin, piano, composition and music theory at the Conservatoire a Rayonnement Regional de Boulogne-Billancourt and later at the Conservatoire d’Aulnay-sous-Bois under violinist Jose Alvarez, and earning a Diplome Superieur de Solfege. After moving to the United States, he finished his studies with a degree in Viola Performance from the University of Washington. His interests also grew to include some experience in pipe organ building and restoration, working for an organ supply and restoration company for several years, and is now currently working on harpsichords with The Harpsichord Shop. His other current music interests include genre-crossing musical exploration with the Rocoempo Trio, and the promotion of classical and early music performances to include a broader audience, with Pacific MusicWorks Underground. He plays a 1744 Johann Eberle violin, and a 1620 Brothers Amati copy made by Francis Beaulieu in 2017. Curtis Foster, Baroque oboe and recorder, whose playing has been praised for its "brilliantly introverted charm" (Seattle Times), has appeared with some of North America's most respected early music ensembles, including Pacific MusicWorks, Les Boréades de Montréal, the Seattle and Pacific Baroque Orchestras, Mercury Baroque Orchestra, American Bach Soloists, Musica Angelica, the Newberry Consort, Victoria Baroque Players, Indy Baroque, and Chicago Opera Theater. His many festival performances have included the Vancouver, Chicago, and Bloomington Early Music Festivals, Oregon Bach Festival, Ottawa International Chamber Music Festival, and the Phoenix Bach Festival. A ravenous chamber musician, Curtis has performed with small ensembles in concert from San Francisco to Dubai. Mr. Foster is also an enthusiastic advocate for music of our own time, and regularly commissions and premiers new works by contemporary composers for old instruments. 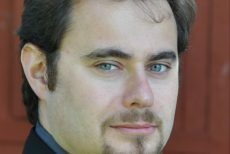 A dedicated pedagogue, Curtis teaches Baroque oboe as part of the Baroque Orchestra Mentorship Programme at the University of British Columbia, and is regularly invited to teach workshops and masterclasses around the US and Canada. His recordings can be heard on ATMA Classique, Naxos, Cedille Records, and IU Press. Originally hailing from Wichita, Kansas, Curtis now makes his home in the beautiful Pacific Northwest. 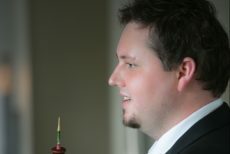 He is a graduate of Wichita State University and Indiana University's Early Music Institute.